We are a company, providing practical skills training in the field of emergency medicine. Crisis Research Center offers the most popular courses that are recognized around the world. Our students gain knowledge and skills, required in the field of emergency medicine and adapt them effectively in their daily work. 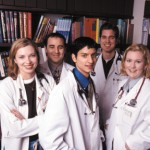 Want to get more from your medical education? Need to prove your expertise? Looking to improve your skills? If the answer to any of these questions is yes, you could benefit from our courses. Learn more how to choose right course. We offer Medical Students and subscribers a range of training materials and courses to become certified in their knowledge. To create an account, just click the Login link and choose to create an account.